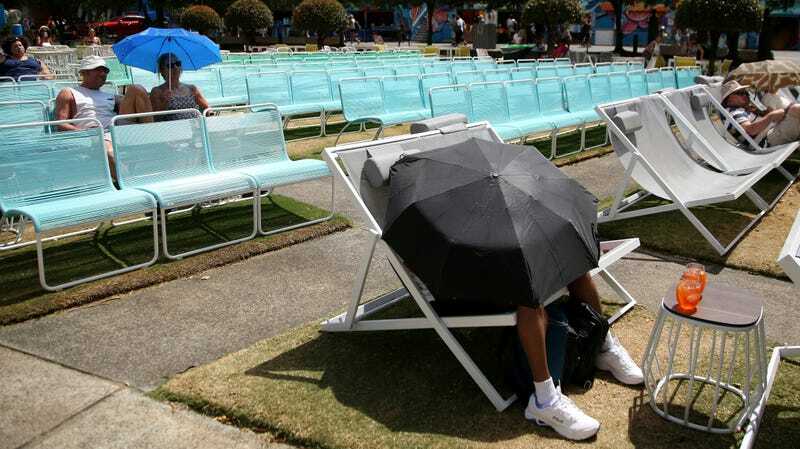 Spectators shielding themselves from the heat at Garden Square in Melbourne during the Australian Open tennis championships on Jan. 25, 2018. The second heat wave in two weeks in Southern Australia continued to punish the region, with temperatures in Melbourne hitting 109.4 degrees Fahrenheit (42.8C) on Friday afternoon, and the state of Tasmania struggling to deal with “30 uncontained fires,” according to the Guardian. Earlier this month, Australia experienced the hottest daily low temperature on record when it reached 97F (36C) in New South Wales on Jan. 17. 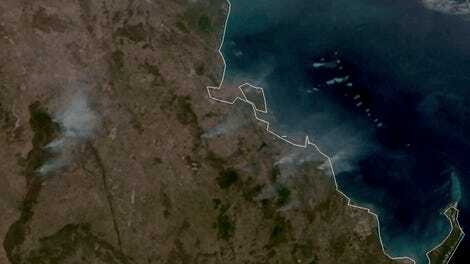 Sweltering conditions throughout the country have persisted for months, with temperatures up to 22 degrees Fahrenheit (12 degrees Celsius) above normal in Victoria, South Australia, and Western Australia on Christmas Eve, while “unprecedented” bush fires in Queensland were reported in November 2018.